The Lagos State government yesterday released a statement dissociating First Lady Abimbola Fashola from several social media accounts purported to be operated by the wife of the governor. In a release by the special assistant to the governor on media, Hakeem Bello, the government made it clear that the governor does not operate a Facebook, Twitter, or any social media account whatsoever. The statement reportedly reads in part: “For the avoidance of doubt, the First Lady of Lagos State, Dame Emmanuella Abimbola Fashola does not operate any Facebook, Twitter or indeed any social media account,” it said. The release said perpetrators of the criminal act should desist henceforth or should be ready to face the music when the long arm of the law catches up with them. 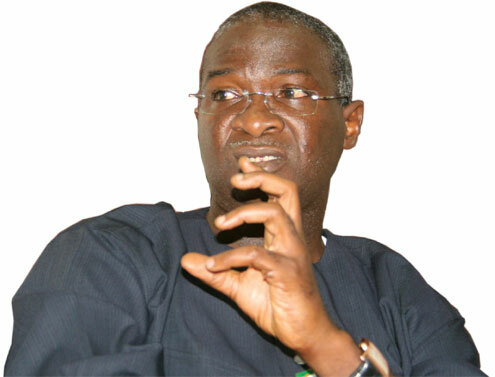 Tags: Abimbola Fashola, babatunde Fashola, facebook, Hakeem Bello, imperssonation, social media, twitter.